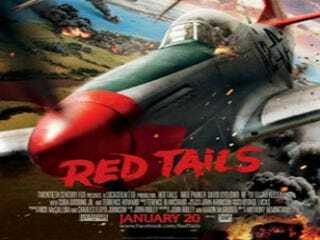 In an entry at his Very Smart Brothas blog, Damon Young lists several reasons that he has not seen Red Tails, including being turned off by its guilt-based marketing and calling into question the perception that we need to see black faces on the big screen in order to bolster our self-esteem. 1. The guilt-based marketing has completely turned me off. 2. I don’t need to see black faces on screen. Do I like to? Yes. Do I think it’s important for young people to see “positive” (more on this in a minute) stories concerning black people to help counterbalance the negative imagery they’re constantly inundated with? Sure. Read Damon Young’s entire blog entry at Very Smart Brothas.